''For the past few years, I have experienced constant headaches, stiffness in the neck muscles, especially when driving for long period, with restricted movement of neck. I have also suffered intermittently lower back pain, which is possibly due to a fall in the bath and other heavy lifting (DIY jobs at home) over a long period''. ''I was strongly recommended by my wife and two grown up children who have been having regular treatments and have benefited immensely by the treatments given by the professional Chiropractors at the Finchley Back Care Centre''. ''After examination of my spine, hip and shoulder X-rays (all in-house X-Ray facilities in the clinic), detailed assessment and recommended course of treatment and exercise''. ''I started receiving treatments from Chiropractor Navin Agarwal in March 2011.The initial presentation by Chiropractor Carrie Ann for new patients was a very powerful message''. ''She has the gift of clearly explaining what Chiropractors does and, with her guidance, helps patients to play their part in aiding recovery. 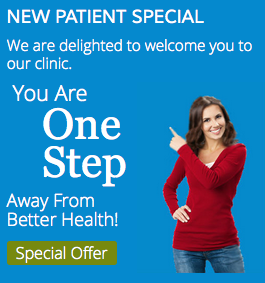 This way an essential practitioner-patient relationship is created prior to any treatments''. ''After a series of treatments and daily recommended exercises, the constant stiffness in the neck has eased and a freedom of movement in my neck as definitely improved. The advice given by Chiropractor has helped to create a better posture and greatly eased tensions in the neck, shoulders and back''. ''I would like to place on record my sincere gratitude for the care and attention you have paid during the treatment I have received from you. From our first meeting I found your calm and considered approach very reassuring''. ''I was very impressed with your knowledge and found that your suggestions for lifestyle adjustments had a real impact for my well-being''. ''The gradual improvement that I am experiencing since receiving treatment is a clear message to others suffering from similar symptoms to seek professional advice from Finchley Back Care Centre''. ''Your professionalism and knowledge of your subject has been faultless and it is with absolutely no hesitation that I recommend you as a practitioner to anyone who is considering chiropractic treatments''. ''Finchley Back Care Centre is very fortunate to have dedicated team in the reception who so ably and pleasantly looks after the management of the clinic and welfare and care of the patients''.